What if Facebook crashed tomorrow? I know for some people they might rejoice and dance in the streets. After all, there is only so much political posturing that one person can take. However, for a lot of small businesses Facebook drives a chunk of their financial success. How much of a chunk for this industry is anyone’s guess? In my amazingly unscientific survey, shops that responded chose by an overwhelming margin, the 0%-10% response. Therefore, I’m really not sure how many shops use Facebook for customer engagement. However, it does look that the ones that do are having some decent success. So what’s driving the impetus for this article idea? Well, namely it is the “Delete Facebook” movement that is gaining steam with users that are upset with Facebook mishandling data. While the “Delete Facebook” idea may be catching on in some circles, there isn’t much out there that might replace it. To me, I don’t think many people have been concerned much with the way Facebook makes money anyway. Most might not even know or care. For what it is worth, Facebook has always been about monetizing the data it collects from its users. I’ve always known that and have been ok with it personally. I use Facebook as I simply like to see what everyone is up to. I’m lazy that way. But I know people that have never opened a Facebook account for that very reason. They just didn’t want to participate and be “used”. However, that doesn’t change the fact that it is still an incredibly popular way to share personal news, photos, and opinions with a group of family or “friends”. Plenty of businesses just like yours use Facebook to market their commercial services to a targeted group of potential buyers. In fact, once you do the work identifying your core market demographic Facebook makes it relatively easy to clone that information and appeal to a wider net of potential customers. That is a different article though. This one is about Facebook nose-diving into the dirt. Like the Hindenburg. Don’t Think It Could Happen to Facebook? Plenty of huge companies have been run into the ground for one reason or another. Are you using your Nokia or Blackberry phone? Still connected to that MySpace account? Are you late returning that movie to Blockbuster? Still in the that AOL chat room? For those not around back then, Yahoo! was once the best way to search before Google took over the top dog position. Yahoo! started in 1994 and by 1998 was the most popular starting point for searching online. In 2000, it’s stock was listed at an all-time high of $118.75 per share. Then the dot.com bubble burst and it’s value dropped to $8.11 per share in 2001. That’s a 93.17% loss in a year. Ouch. With up and down business attempts at restructuring, Yahoo! was acquired by Verizon in 2017 for $4.48 billion. The stock ticker symbol YHOO was retired in 2017. It was no longer needed. I’m not saying that the problems that Yahoo! faced are in alignment with Facebook’s current hot mess. I’m only pointing out that huge billion dollar companies can implode. In a year. Recently Facebook’s value took a hit on this current scandal and dropped 7%, or about $36 billion dollars with the news flash of the Cambridge Analytica shenanigans. While that might sound like a drop in the bucket for Mark Zuckerberg, it is still a hell of a lot of money. Only 86.17% more to go to equal Yahoo’s tumble. I don’t think anyone can predict how slippery this slope may be. How Would It Affect Your Business? How are you driving eyeballs to your website or online e-commerce store? For me, about 40-45% of the daily traffic for my website comes from Facebook. I would be in the purple slice in the above graph. Do you know yours? Let’s just call that half. It’s an easier discussion. So, what would you do if half of your daily traffic stopped because Facebook’s users quit? What impact would that have on your business? I guess that all depends on what you use your website for on a daily basis. Would other social media marketing services see a pick up in usage? Would Instagram go down with the Facebook ship? I’m not sure on the answers to those. I could see Twitter getting an immediate bump. So maybe they are quietly rooting for an aneurysm in Facebook’s business mental model. They aren’t tweeting to me about it. That’s for sure. So who is deleting their Facebook account? Yet, recently Will Ferrell posted to his 10.1 million Facebook fans that he was deleting his account in 72 hours. Other notable Facebook defectors now include Elon Musk’s deletion of Tesla Motors and SpaceX. So is the “Delete Facebook” movement picking up steam? I’m not sure, but I am interested in what you have to say. Do you still use Facebook? Did you delete your account? Is your companies revenue tied to marketing on this social media channel? Leave a comment below in the “Reply” section at the bottom of the article. One thing that is for certain is that there is more regulation coming. In Europe on May 25, 2018, the EU General Data Protection Regulation (GDPR) is going to go into effect. If you have social apps such as MailChimp, you may have already seen a notice about this and had to agree to it. The GDPR is a step towards shifting the importance of data collection and power away from businesses and back to real people. This regulation is extraterritorial. This means that United States businesses that offer goods and services or are marketing to people in the EU, you must comply with the regulation. That may be the first domino to fall in this. With more election cycles coming up, and the ever-present news talking heads pontificating about the importance of social media data mining, you can bet to see some legislation one way or another about it. The arguing about it has just begun. Let’s start with the scariness of what’s happening in China, where you are rated on your level of social currency. If you don’t have enough “social credit” the government bans you from traveling on trains and airplanes. That certainly puts more emphasis on a selfie than ever before. I doubt that Will Ferrell or Elon Musk see that as the biggest threat or fear, but your social presence needs to be protected for other reasons. Even Mark Zuckerberg with Facebook has suggested that they need to change. So changes are coming. What they will be is anyone’s guess. 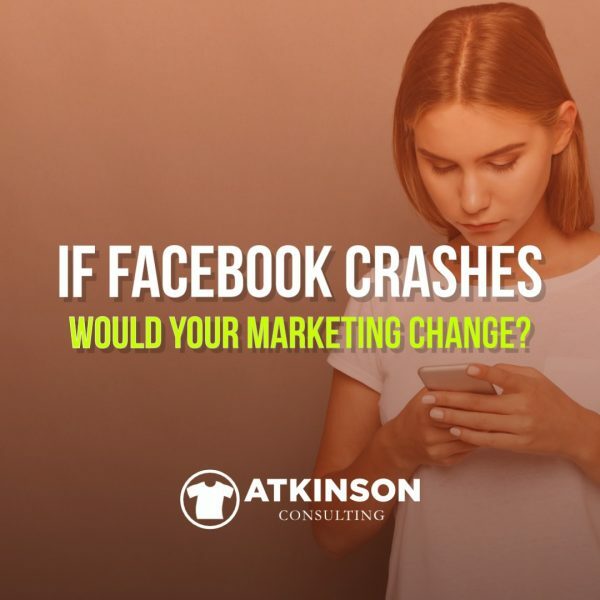 For me, I think it is time to take a hard look at market demographics and how businesses are using Facebook to appeal to current and potential customers. Will Facebook fold up its tent willingly or unwillingly in the time to come? Nobody can predict that, but plenty of people thought Yahoo! would be relevant forever too. Especially Yahoo!. They had tons of smart people working there too. Prudence would suggest that regardless of what Facebook does in the next few months, companies should take some time to reflect how they are using Facebook to connect with their audience. Maybe now is the time to invest in the effort to build another successful channel for marketing. After all, it is the results that we are after, not the delivery mechanism. So take some time and look into how you are connecting with your customers. Do you think you simply need to market on Facebook because that’s what everyone says to do? Maybe another road might produce better results. Do some A/B testing. Write up a plan. Experiment with another way or two. Just something small. Push some stuff out there and make a mistake or two. Learn from that and try another way. Oh, and by the way, in an especially ironical request from me, please like or share this article on Facebook or Instagram. I’ll take some help on Twitter too. 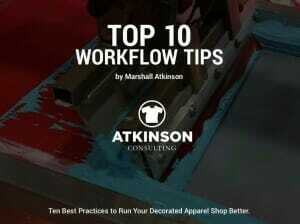 If you haven’t already, grab my free eBook, “Top 10 Workflow Tips” and learn the best practices that the leading apparel decorator shops deploy to increase their efficiency. It’s free because I want you to use the techniques to improve your shop. All you have you to do is two things. 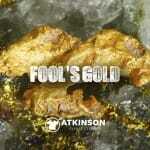 First, click this link to download the eBook. 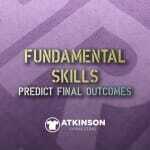 Then, read and start making a few tweaks to your processes. Work smarter!